There are several different ways loads can be applied to bolted joints, each of them leading to specific effects on that joint that are the result of how the joint is loaded and responds to the load. Common load types include tension, shear and bending joints, each of which gets its name from the type of external load applied to that joint. 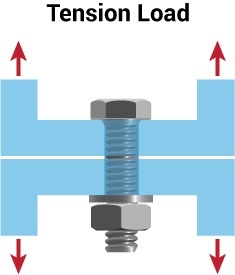 A tension joint is affected by loads attempting to pull the joint apart, with the forces on joint and its bolt essentially parallel to the bolts’ axes. 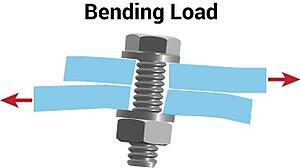 Tensile forces work to stretch/separate the joint, with the tension load adding stress to the bolt. Think of a bolt experiencing tension like a spring. Pull a spring by its end and you’ll see it stretch but revert to its original shape when released. But if a spring stretches too far, it remains stretched. 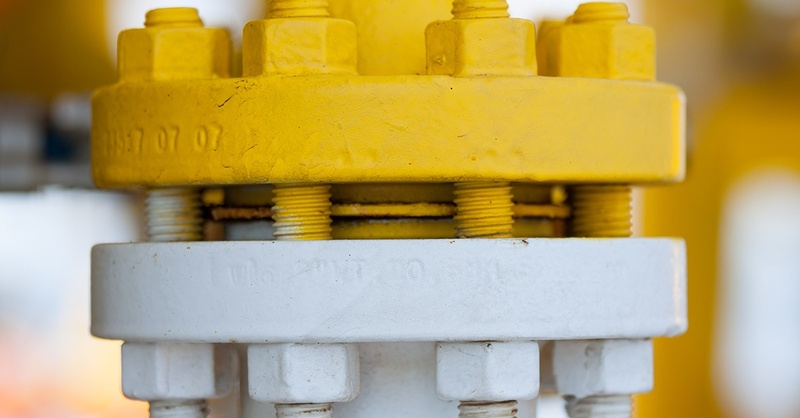 In a tension joint, the bolts need to serve as clamps. When the bolt and nut are tightened, it produces tensile pre-stress, which equals the compressive stress introduced in the joint. The joint’s longevity and behavior will depend on the tightness of the clamped bolts, and how long they can maintain preload. If the clamping force is incorrect, several types of joint failure may occur, including bolt fatigue, loosening due to vibration, hydrogen embrittlement and stress corrosion cracking. These are bolted joints where the applied loading is at a right angle to the fastener axis. Failure in shear joints occurs when joint members slip sideways past each other and cut the fastener. In some shear joints, the joint strength depends solely on the shear strength of the bolts. These are known as “bearing type” joints. Bolt tension during assembly is less important, as long as the fastener is retained in the assembly. Other shear joints use initial clamp load to resist slip and require frictional force between joint members. 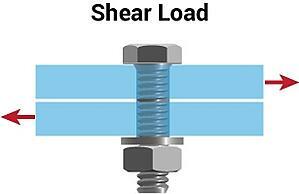 Shear forces must overpower clamp load friction, which is usually greater than the shear strength of the fastener. This type of joint, sometimes referred to as a friction-type or slip critical joint, is often found in the construction industry. These are bolted joints in an application that has exposed the joint to a bending force, leading to both shear and tension load affecting the fastener. Use extreme care when working with a joint that’s been subjected to bending, as the combination of tension and shear loads can have a significant impact on the joint’s strength and behavior. Bolted joints require safe and reliable tools. Maxpro is proud to provide these tools to a variety of different industries. 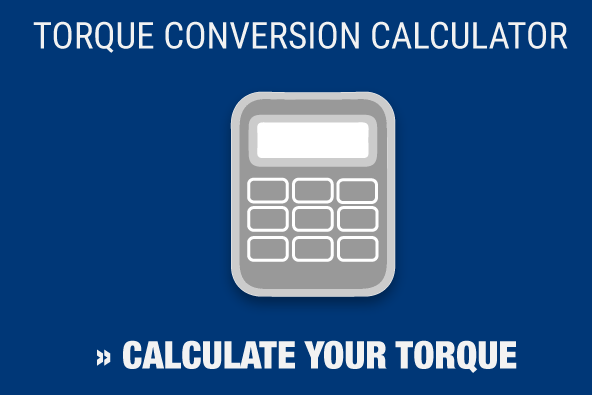 We are the world’s leading supplier of RAD torque wrenches and calibrate every tool we sell at our A2LA-accredited lab. Contact Maxpro today to learn how we can assist you in your next project.